Beyoncé, There's a New 'Roo in Town! It’s been my wish for several years to create my own herbarium, much as poet Emily Dickinson did in the late 1800s. Gathering specimens of flowers and plants from my own garden is a way for me to preserve the beauty and memories in a way that photographs cannot do. 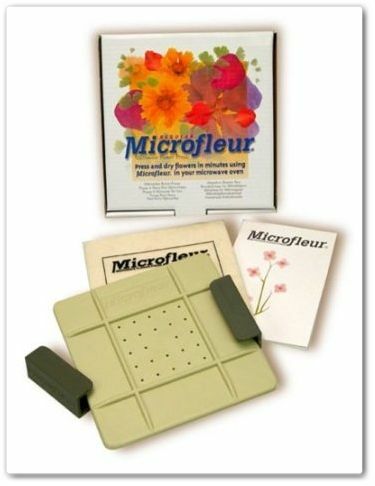 A flower press makes it so much easier and this one by Microfleur uses the microwave. I’ve had one for years and can attest to its ease of use and the good job it does. I have the 5-inch version, but it comes in a 9-inch size as well. Val Webb is the kind of artist I wish I could be. Her illustrations are charming and life-like and I never tire of seeing what she’s created. She’s also very generous. This year, she’s been providing illustrated monthly calendar pages that you can print out, free of charge. So when she announced an online class to learn how to draw six culinary herbs, I knew this was going on my Gardener's List of Gift Ideas. For just $50, beginning in January (through May), you can have access to videos and printed instructions on how to use colored pencils and watercolors to create your own art, at your own pace. She’ll also talk about the history of these herbs, and as long as supplies last, she’s sharing seeds from her own organically grown herb garden! 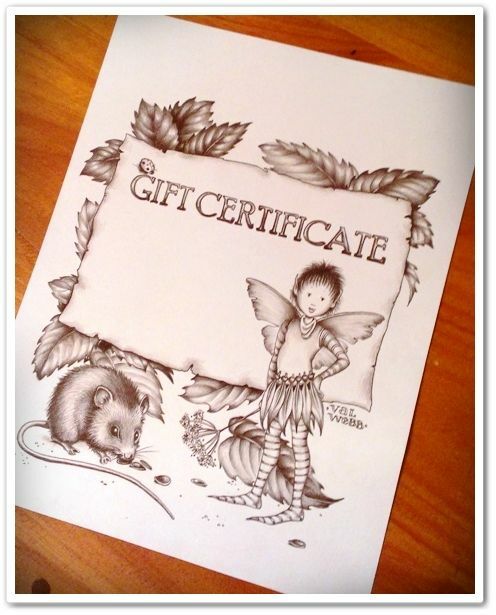 For gift-giving, you'll get this beautiful gift certificate for the classes. To sign up, visit her website, where you can also find more detailed information. I have a lot of Corona tools in my tool shed, and I can honestly say that I like all of them. I'll also say that I have pruners from several different companies and there are a few that I especially like, including this one from Corona. All my Corona pruners work very well, but what makes this one a step above is that it's adjustable for smaller hands, like mine. One pair of pruners is never enough for a gardener, so even if you know your favorite gardener has a pair of pruners already, you might want to think about giving a pair of these as a gift. 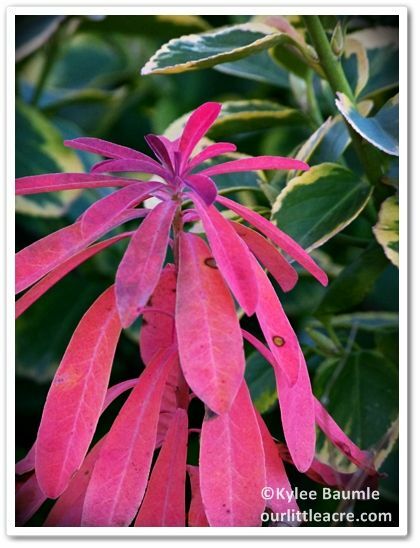 They're perfect for that, because unlike many other pruners, one size really does fit all. 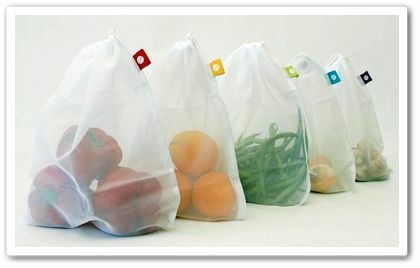 These see-through mesh bags from flip and tumble are great for storing fresh produce in and out of the refrigerator. You can take them to the grocery with you, cutting down on use of the plastic bags provided there. Of course, you can use them for lots of other things too and they’re machine-washable. I use mine all the time. Here’s something fun and funky! Toland Garden Products makes hanging baskets from the same UV-resistant fabric that outdoor flags are made from so they resist fading. There is a plastic liner with a drainage outlet and the entire thing collapses when not in use. 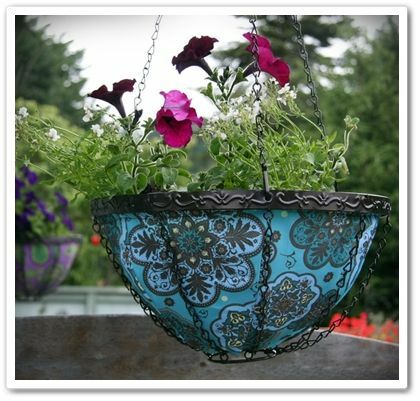 The 14-inch baskets come in several patterns: Blue Marakesh, Paisley, Sunburst, By the Sea, Patriotic, Dragonfly, French, Spring Fuchsia, Garden Scallops, Damask, and Spring Blooms. Truth be told, I’m a HUGE fan of all things Dramm. 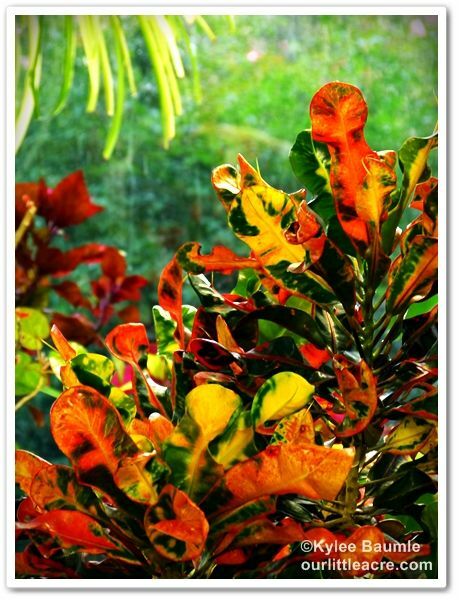 I use several different types of their handheld watering devices, their oscillating sprinkler (which is what turned me on to them in the first place), and this last summer I started using their ColorStorm hoses. Believe me when I say I’ve tried numerous watering devices and when you tally the score at the end of the day, Dramm comes out WAY ahead. 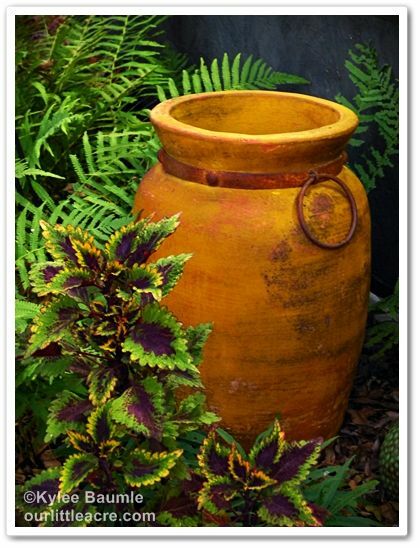 Another favorite vendor of mine is H. Potter, which sells the most beautiful objects for your inside growing and out. I met Jerry Peed, the owner, at a trade show and found him to be personable while being very focused on carrying unique and high-quality products. I drooled all over his booth full of terrariums, trellises, and the like, and put several on my wish list. 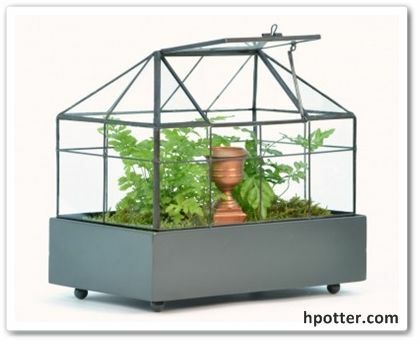 I already had an H. Potter terrarium and didn’t even know it when I purchased it at Longwood Gardens in 2006. I now have another, which is a tabletop Wardian case-type that is perfect for growing succulents. Usually, succulents aren’t recommended for enclosed spaces since they don’t like high humidity, but this one has a vent, allowing the potting medium to dry out sufficiently and excess humidity to escape. Check out all the wonderfulness that is H. Potter; this is just the tip of the iceberg! 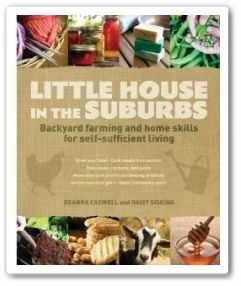 I’ve read a lot of books this year, gardening and otherwise. Each focused on a different aspect of gardening, and it’s hard for me to pick just one that stands out as my favorite new book of the year. But I have to say that the one that gave me the most usable information presented in the most entertaining way while keeping it real was Little House in the Suburbs. 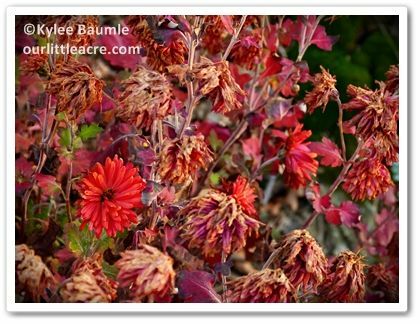 Not everyone has the desire to be self-sufficient, but if you’re a gardener, you likely practice some aspect of it already. And if you don’t, you’re thinking about it. This is a good place to start. You can read my review here. The 3-pack of cow, horse, and alfalfa compost tea makes a great stocking stuffer and I swear by the cow version for my houseplants. Until I started using Moo Poo Tea, I never got a single orchid to rebloom. 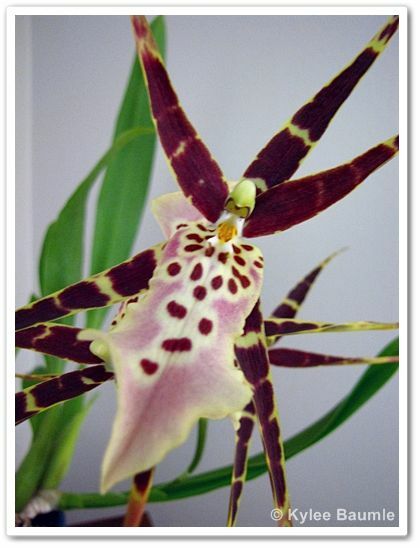 Now I've gotten nearly every single one to rebloom, including the Bratonia (formerly Miltassia) Shelob 'Tolkien'. Annie Haven is at the helm of this family-owned business, which she learned from her father while growing up in southern California. The manure comes from natural pasture-fed livestock, so you can be comfortable knowing you're using an all-natural product. The American Gardener magazine — six issues featuring the very best horticultural information, the latest plant selections, and practical advice to help you be a better gardener. 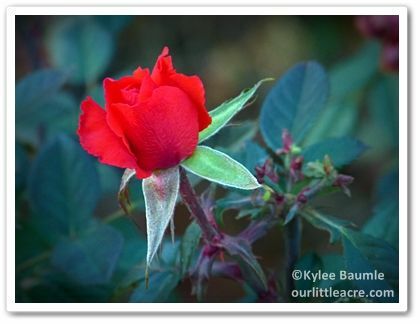 Exclusive online gardening resources — read past articles from The American Gardener on their website. Special discounts on all AHS educational programs. I cannot tell you the number of times I reach for this skinny little shovel when I’m in the garden. 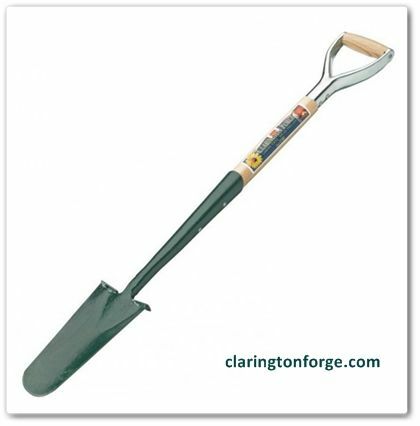 I use it for planting and transplanting in tight spaces and for planting bulbs. 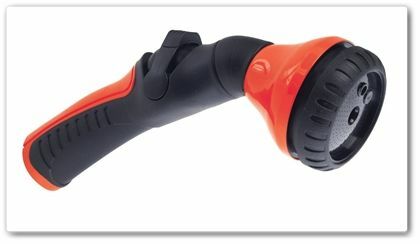 It’s great for removing deep-rooted weeds like dandelions and thistles. It goes deep and it’s forged, so it’s got some heft to it, making it perfect for just about any job where a larger shovel won’t do. Clarington Forge is one of the very few companies left that makes forged garden tools (they’ve been doing it since 1780!) and these are tools that you’ll have for a lifetime. I just ordered a cold frame from Peaceful Valley Farm last week. 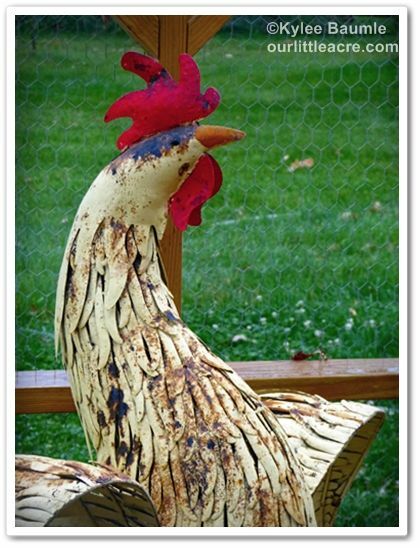 I used to have one that we made from some old windows, but that was something we threw together quickly and it only lasted a few years. And there was always the issue of lifting the lid to vent it when it got too hot. Sometimes I remembered and sometimes I didn’t. 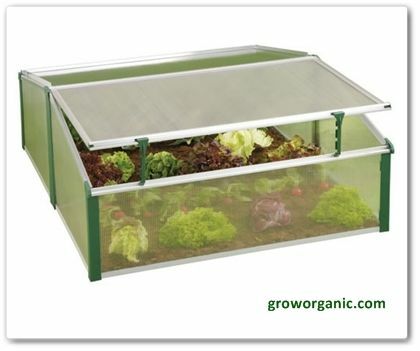 Peaceful Valley has a couple of styles of well-made cold frames by Juwel available. To solve the problem I had with venting, I also ordered an automatic vent opener. I thought the prices for both items were very reasonable. 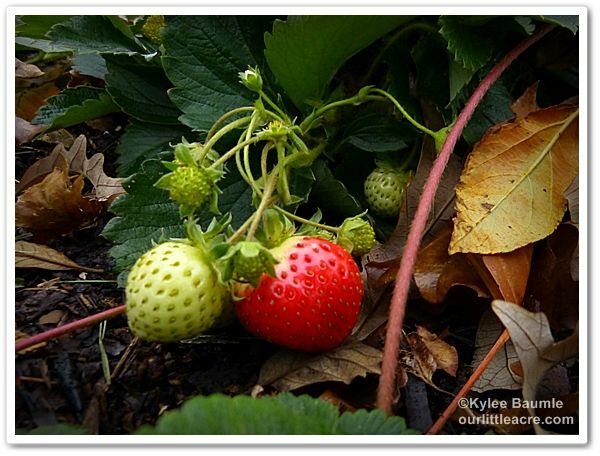 Nature's Footprint has the perfect solution for growing your own red wiggler worms. Why would anyone want to do that? Two reasons: it's a great way to get rid of kitchen waste and you can use the worm by-product (that would be their poop) to feed your plants! That's right - more poop for the garden! I have a Worm Factory 360 in my office and contrary to what you might believe, there is no smell and I have no fruit flies. Those worms are pretty efficient at taking care of whatever I put in their bin. You can read about my first weeks with the Factory here. I've had it for about six months now and it's pretty fascinating to see how these little worms work! Right now, Nature's Footprint has 10% off sitewide. Just use the code HOLIDAY10 when placing your order. The Worm Factory has Free Shipping, too. You've seen other paper pot makers, I'm sure. But what I like about this one is the cylinder that allows you to fill the pot with potting medium as a next step before removing it. 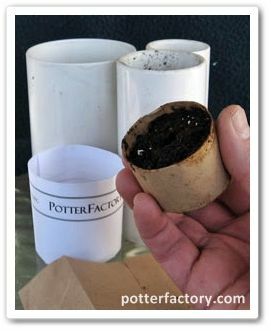 It's a little thing and of course you can add soil to paper pots at any time, but this allows you to pack it in snugly without worrying about the pot falling apart or breaking. 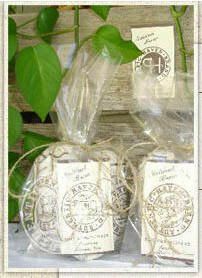 On their website, they also have templates you can print out to make decorative sleeves for your original paper pots, in case you want to give a plant as a gift. The company that makes PotterFactory™ is environmentally conscious and operated in the United States, so you're truly buying American. 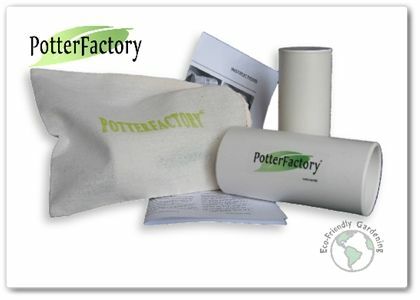 For $9.95 plus shipping, you get a 2 ¼” pot and soil block form, a 1¾” pot form and Soil Compression Tool, and a 100% cotton muslin storage bag. Instructions are included, and they have videos on their website to show you how to do it as well. 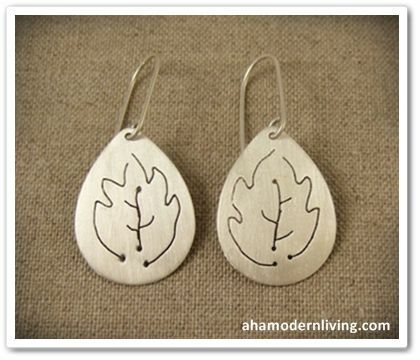 I love botanically-inspired jewelry. That is all. Okay, that isn't all, and Aha! Modern Living has some other pretty cool jewelry (as well as a LOT of other awesome products for the home and garden). Go shopping! 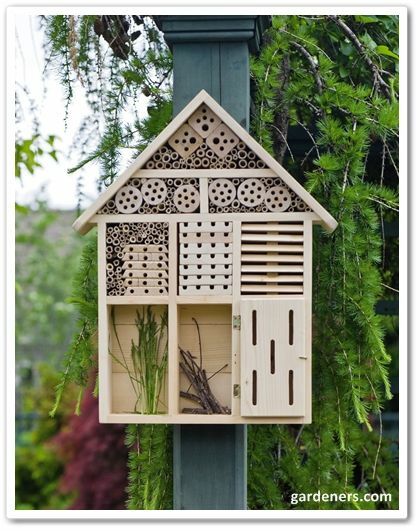 I love the design of this hotel for solitary bees, butterflies, ladybugs and lacewings - all great pollinators in the garden. 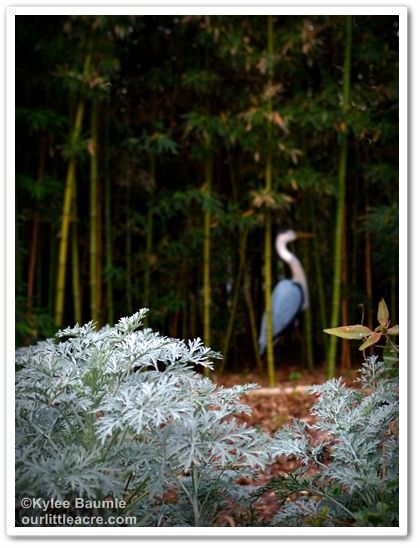 Each has a different nesting requirement, which just adds to the coolness of the appearance of the pine and bamboo hotel. I don't have one of these, but I'd like to! Hopefully, this helps some of you with your holiday gift-buying and if nothing else, maybe you'll have a few things to add to your own list of wants. Happy holidays! Disclosure: I have received free of charge for review: H. Potter terrarium, Corona pruners, Haven Brand Compost Tea, PotterFactory™ pot maker, Dramm One-Touch Shower and Stream, Clarington Forge Planting Spear, Worm Factory 360, and a copy of Little House in the Suburbs. 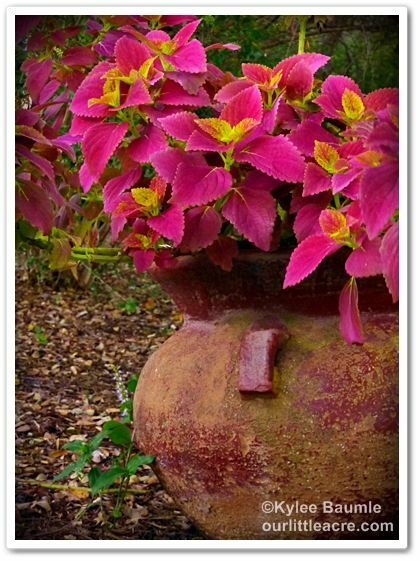 My opinions stated here are my own and my choice of gifts for gardeners was entirely based on my own preferences and experiences. These particular products would not be on this list if I didn't like and/or use them. If there's one thing that nearly all gardeners have in common, it's that we try to grow things that we know darn well aren't suited for our gardens. 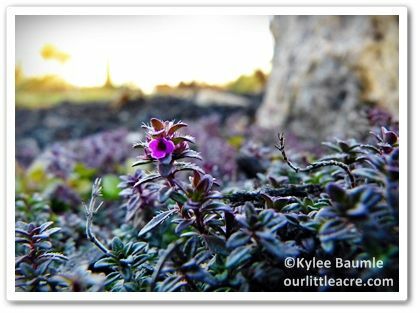 There are various reasons why we do this, but mostly it's because we see a plant that we love and we want it. It's sort of like falling in love with someone that we know isn't good for us, but we can't help ourselves, even when we know that down the road we're likely to part ways. We think with our heart and not our heads. Don't we all have "favorite mistakes?" Andrew Keys has help for us. Not for the human kind - you're on your own there - but he's written a book that suggests other choices when it comes to choosing plants for our gardens. Why Grow That When You Can Grow This? 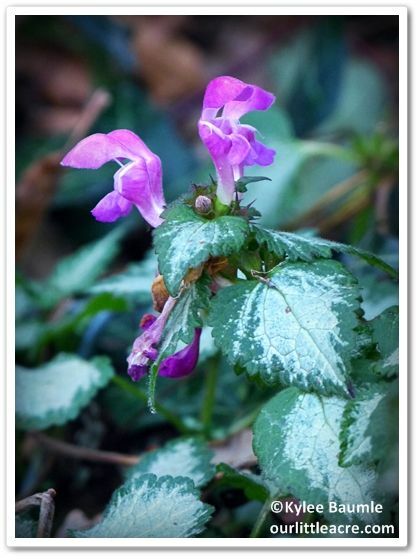 takes a look at those plants that we've had, we have, or we want, for which there are alternatives that may work better. 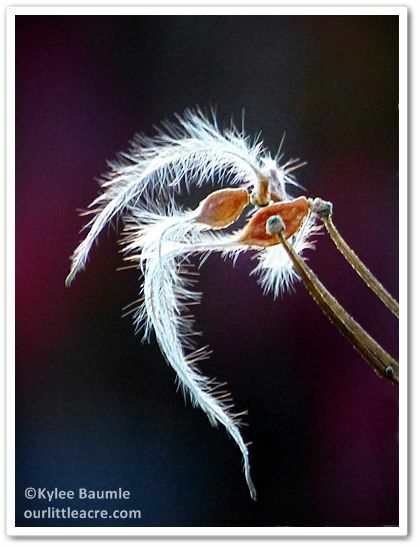 Be prepared to change your way of thinking though, because sometimes he suggests plants that do not give the same appearance as the one it's supposed to replace. For example, one that jumped out at me personally was Daphne. 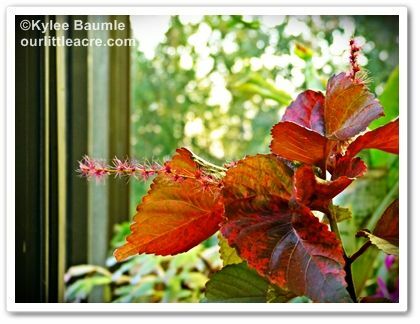 It's a beautiful little shrub that I tried to grow one year and by spring, it was dead. 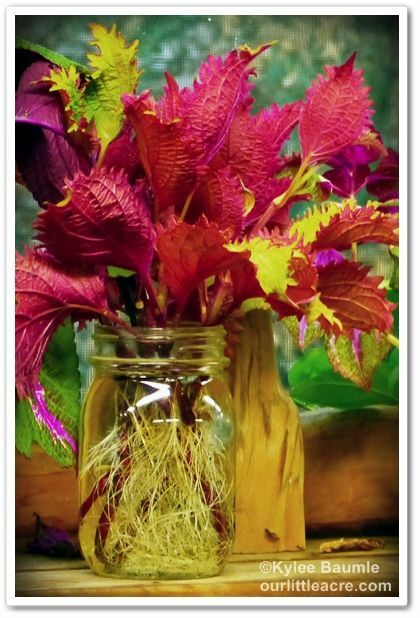 Anyone who has tried to grow this and failed is in good company. Daphne is definitely a fussy plant and if you happen to satisfy its needs and grow it successfully, you can pat yourself on the back and thank the plant gods. That's what I'm doing right now, as my Daphne burkwoodii 'Carol Mackie' just finished its second summer (and what a brutal summer it was!) and prepares to deal with its second winter here. It's looking quite good. 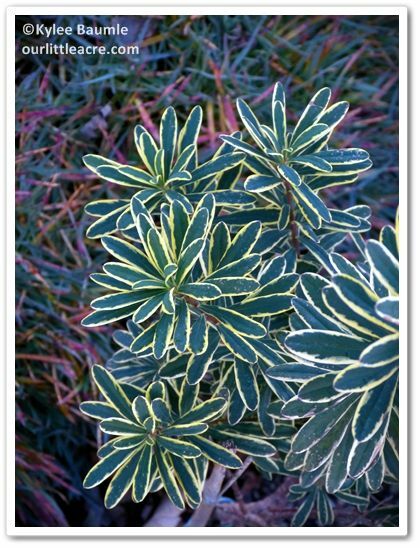 Since I wanted to grow this Daphne because I love the little ivory-edged leaves, the alternatives to it that are suggested really don't appeal to me, since they don't give the same look. 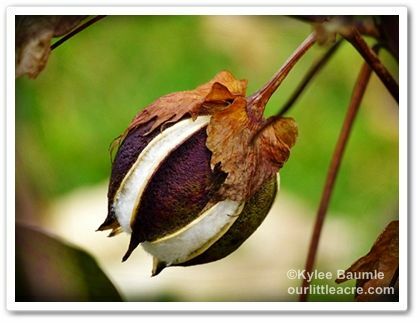 Still, if you can't grow it, then the Carolina Allspice (Calycanthus floridus) or Summersweet (Clethra alnifolia) might work in its place if you can keep them trimmed to stay on the small side. Daphne's mature size is just 3-4 feet high and wide. There are some plants which he declares to be problems, that for me (and possibly for you), simply aren't, by virtue of my location and particular growing conditions. But there are still some great possibilities that I never would have considered had he not brought them to my attention. It's nice to have this as a source book for choosing plants for my garden when I'm tired of pandering to something I already have or I'm ready for a change. 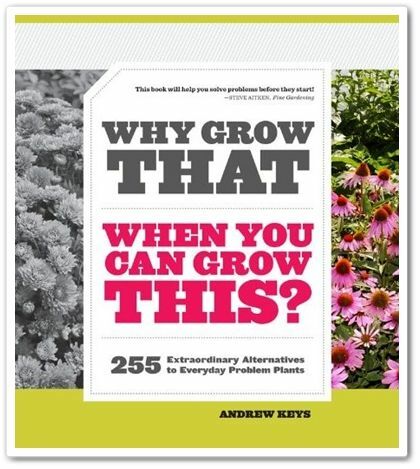 Andrew's book can be a help towards gardening smarter, not harder! Timber Press has graciously agreed to give a free copy of Why Grow That When You Can Grow This? to one of my readers! 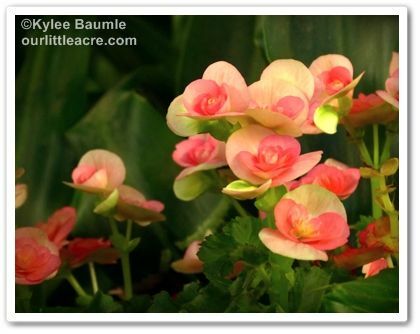 To be entered in the giveaway, just leave a comment to this blog post, telling me what the biggest problem plant in your garden is that you still grow for whatever reason. (You can share that too, if you want to!) Also be sure to provide some way for me to contact you if you're the winner. Enter by midnight EST on Friday, December 14, 2012, and then I'll use Random.org to pick a winner. UPDATE: We have a winner! I used Random.org for winner-picking and it chose Pamela! Please contact me at ourlittleacre at gmail dot com with your mailing address so that Timber Press can send your book to you. Thank you to all who entered! I've got another giveaway coming up very soon! And thank you, Timber Press, for providing a copy of Andrew's book! Timber Press provided me with a free copy of Why Grow That When You Can Grow This? for review. All opinions are my own. Thanks to Sherry Richardson and Jacque Gregory for sharing their beautiful greenhouse and gardens with me during my visit to Austin. Better than pumpkin pie! (What were YOU thinking??) Here's a repost of my pumpkin torte recipe that everyone loves so much. Enjoy! 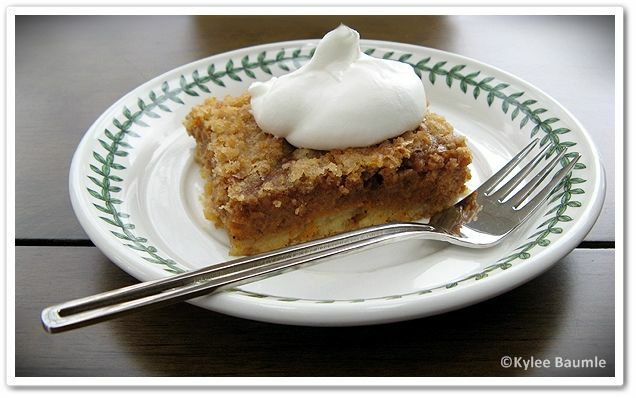 Every year, I get requests for my recipe for pumpkin torte. I don't remember now how I got this recipe myself years ago, but my family insists I make it every Thanksgiving. They're nearly delirious with joy if it happens to turn up at other times of the year as well. Crust: Mix the cake mix (less 1 cup) with one egg and ½ cup butter. Press into the bottom of a greased jelly roll pan (10½ x 15½ x 1). Filling: Mix until smooth - pumpkin pie mix, 2 eggs, and evaporated milk. Pour on top of the crust. Topping: Mix 1 cup cake mix, sugar, cinnamon and ¼ cup butter. Sprinkle on top of the pumpkin mixture. Bake at 350° for 45-50 minutes. Serve with whipped cream. There are actually four different collections, and I chose a wreath from the Chocolate & Spice Collection. It was the chocolate that got me. No, there isn't actually chocolate in this wreath, but I liked the thought of that! The 20" wreath is handmade by the Berry Family of Nurseries from sustainably harvested Noble Fir boughs from the Cascade Mountains in western Oregon. It has fragrant pine cones attached, along with chocolate colored ribbon, bittersweet-inspired berries, and persimmon decorative balls. For a chance to win one, just leave a comment to this blog post, telling me about your favorite chocolate treat. (Mine is English Toffee, even though the chocolate isn't really the part that I love so much about it!) Make sure you leave a way for me to contact you if you're the winner! The giveaway will end on Sunday, November 25, 2012, at midnight, EST. That's a busy weekend - better enter now so you don't forget! If you want to see other items in the P. Allen Smith Holiday Collection, they're featured on his website. The Colonial, Chocolate & Spice, Williamsburg, Lodge, and Classic Collections can be purchased online at HomeDepot.com and the Rustic Collection at Frontgate.com. 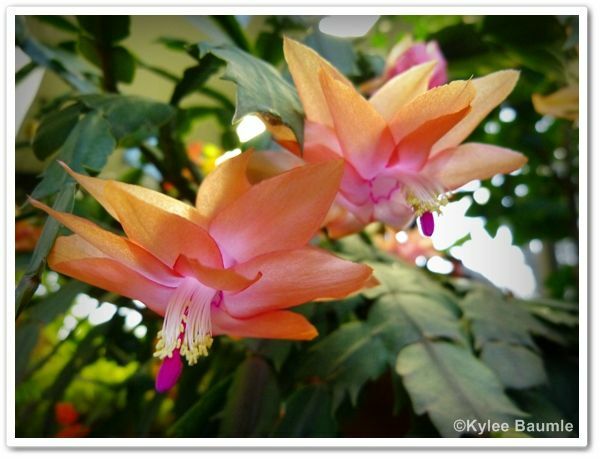 The Collection is also available at independent garden centers across the country and Reasor's in northeast Oklahoma. 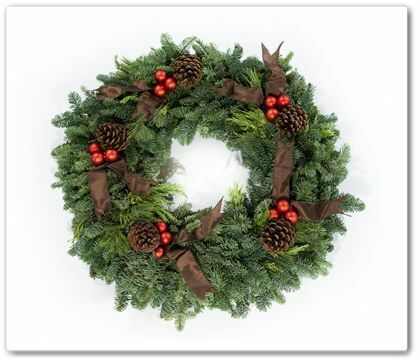 J. Peterson Garden Design: Holiday Wreath Giveaway! 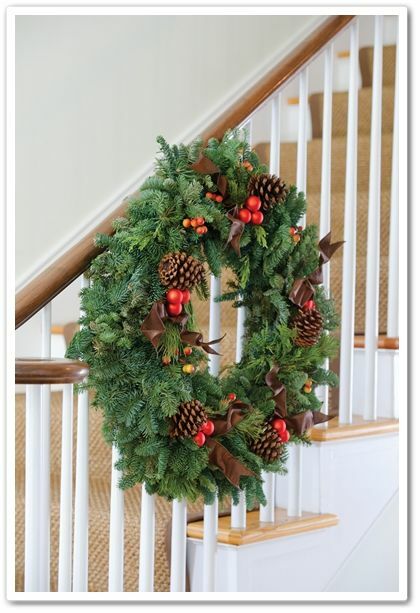 bwisegardening: Win a Williamsburg Christmas Wreath! 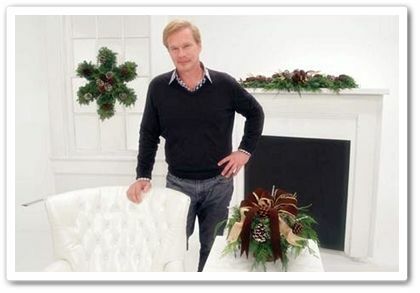 Gardening With Confidence: P. Allen Smith Holiday Collection Wreath Giveaway. Let the Season Begin! UPDATE: As of 10:00 PM, Tuesday, November 20, 2012, the Rafflecopter form and all information entered there has disappeared. :-( This is why I always have people enter both by leaving a comment and filling out the Rafflecopter form. Since this has occurred, I will just use Random.org to choose a winner from all those that have left comments. This is how Rafflecopter chooses a winner anyway, but it's a nice way to have contact information (as long as it doesn't disappear). Be sure to leave a way for me to contact you in your comment. Thanks for your understanding! In full disclosure, I have received no monetary or in-kind compensation for hosting this giveaway. I just thought it would be fun to let one of my readers win a wreath for their holiday decorating. Thank you to the Berry Family of Nurseries and to Allen for allowing me to host. The week has ended on a much better note weatherwise than it began. Though we didn't experience the devastating effects of Hurricane Sandy that the East Coast did, she managed to affect us in smaller ways. We had continual winds, rain, and even a little sleet and snow before things calmed down yesterday. I've been busy with writing tasks and travel, as well as helping out with our new little granddaughter, Hannah, and the gardens have been a little neglected. Finally, today I was able to get out there to do a little cleaning up. With temperatures in the high 40s, you might think I'd be a bit chilly, but nothing a coat and expending some energy couldn't deal with! 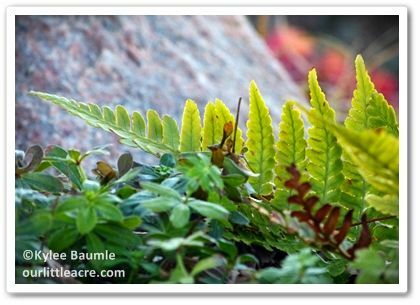 As I worked at cleaning out excess leaves, trimming dead branches and pulling mushy perennial foliage, I noticed little things that I wouldn't have otherwise. Simply strolling through the garden, I would have missed so much. 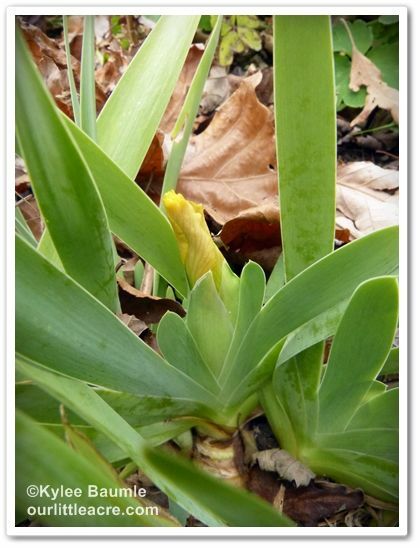 Tucked behind plants that have buckled in the winds, I found two irises ready to bloom! I've never seen this one bloom this late before and even 'Immortality', a known reblooming German bearded iris, has never bloomed in November. away from the nearest milkweed. But the most astonishing thing I found was a monarch caterpillar. A tiny one. It was so small, it's a wonder I even noticed it. The milkweed it was on was mostly yellow and dying, but did show some fresh new growth at the top. Still, the cold temperatures and lateness of the season have caused most of the milkweed to lose their leaves and they're left as bare stems standing sentinel in the garden. 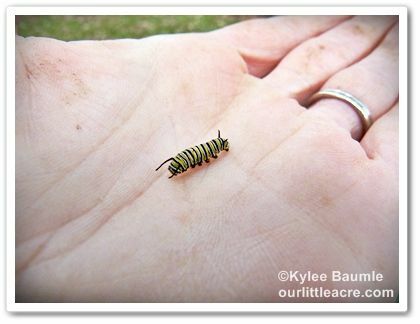 This tiny monarch caterpillar is no more than half an inch long. I thought at first that the tiny caterpillar was dead and somehow stuck in place on the leaf. But as I gently touched it to see, it slowly moved its antennae. 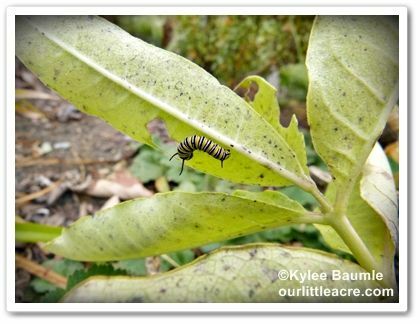 I picked it up to move it from the Asclepias syriaca, which only had a few yellowing leaves at the top, over to the greener Asclepias curassavica, so it would have more to eat. I held it in my hand and it slowly crept around my palm. 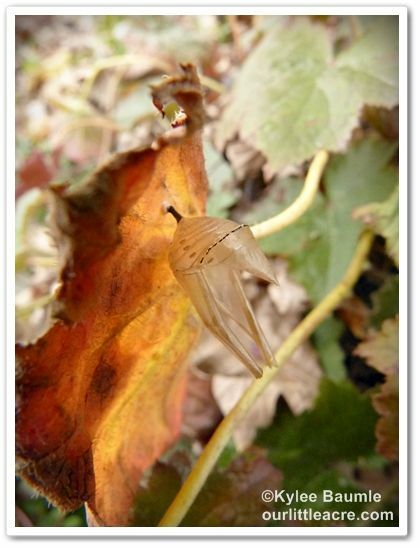 Gently, I placed it on a leaf where it curled up for moment and then crawled to the underneath side. It's virtually impossible for it to grow large enough to pupate, metamorphose, eclose, and then fly to Mexico for the winter. And even if it would live long enough to complete its life cycle and become a butterfly, it's too late for it to escape our cold temperatures. 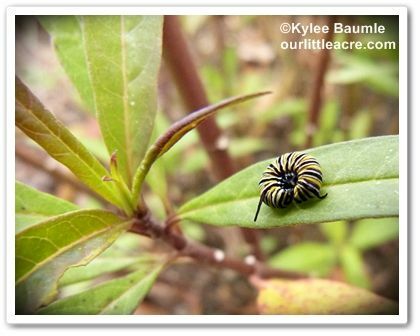 Briefly, I entertained the thought of the possibility of taking some milkweed plants into the greenhouse, along with the caterpillar so that it at least might have a chance. 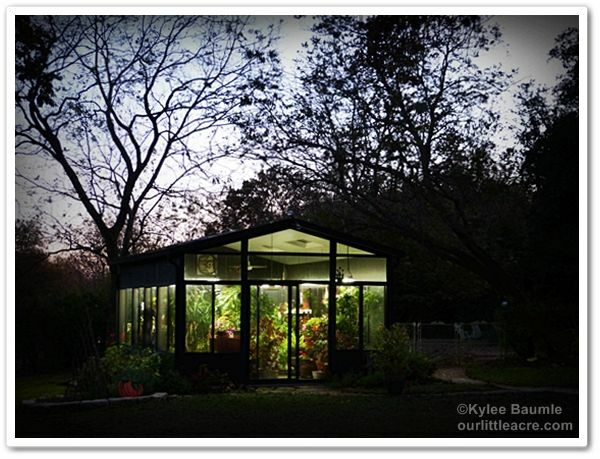 I even wondered if a monarch butterfly could spend the winter in a 50-degree greenhouse. The odds are overwhelming that it could be possible. Sadly, this little guy will likely live out his last days right here in my garden. It seems that even some of nature is dragging its feet about the approaching winter, just like I am. 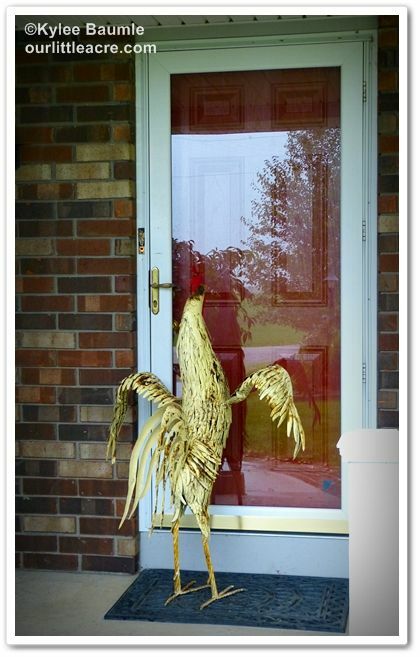 After many Thoughts and Deliberations, Romie and I have decided on a name for "Not Dennis," the Giant Metal Chicken that arrived at our house about a month ago. We solicited suggestions for a name via this blog, because...well...it's not just every day that a Giant Metal Chicken becomes part of the family. We considered Cornelius and we liked that a lot. Lindbergh seemed like a real possibility; we even thought we could call him "Lucky Lindy" as a nickname. Gus was in the running, too. But when I was doing a roll call of the names for one final time, Romie declared his final choice for the name and I wasn't surprised in the least. It just makes sense, especially for Romie. 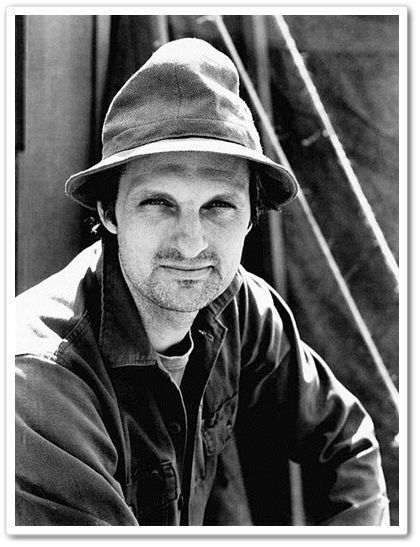 This man watches reruns of Mash every time he gets the chance. It's one of his favorite shows, so when he said "Not Dennis" should have the name of Hawkeye, I agreed. After all, he's out there keeping an eye out for hawks, right? Thanks to rika for the name suggestion. Thanks to Zaer Ltd. International for sending Hawkeye to watch over our flock by night (day, too). And thanks to Storey Publishing and Timber Press for providing the great books as prizes. Zaer Ltd. International kindly provided me with my Big Metal Chicken, free of charge, for which I will be eternally grateful. 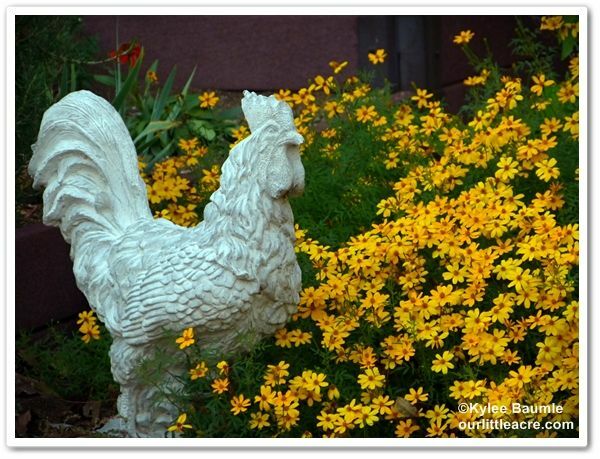 It's amazing how happy a Big Metal Chicken can make you when you see it in your yard.